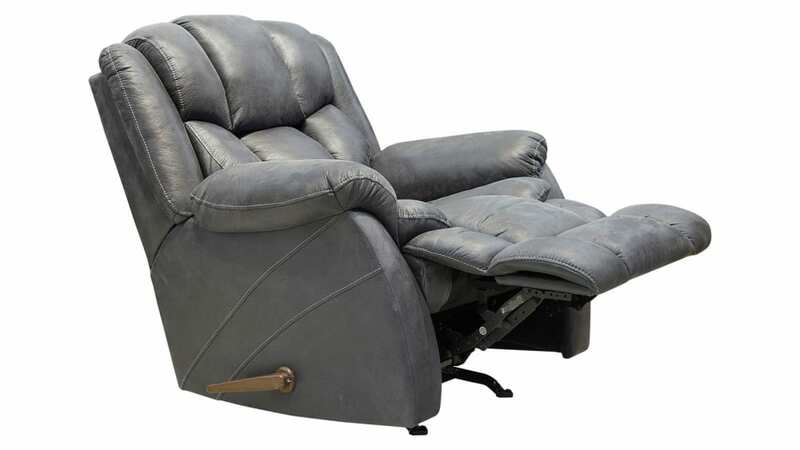 The most desirable place to sit in any home is usually a big, super-plush, reclining chair, because that's the most comfortable chair to sit in and relax. 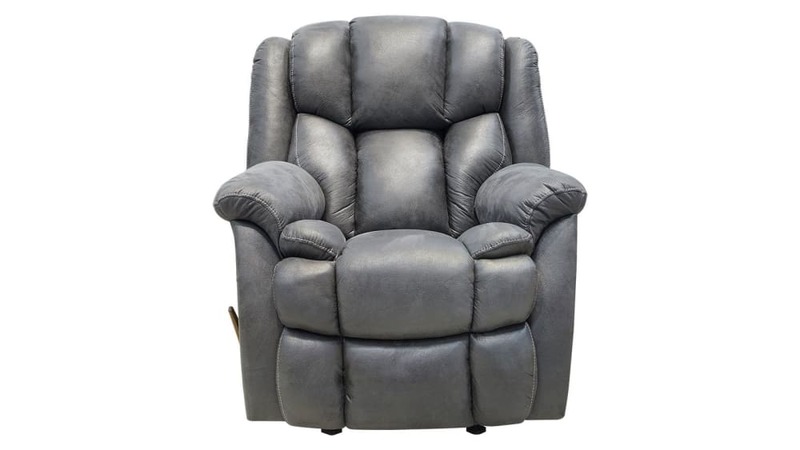 The Blue Ridge Recliner provides the comfort you seek Buy TODAY, delivered TODAY! The casual styling is designed for comfort. Grey, easy-care fabric is soft, but designed to last. 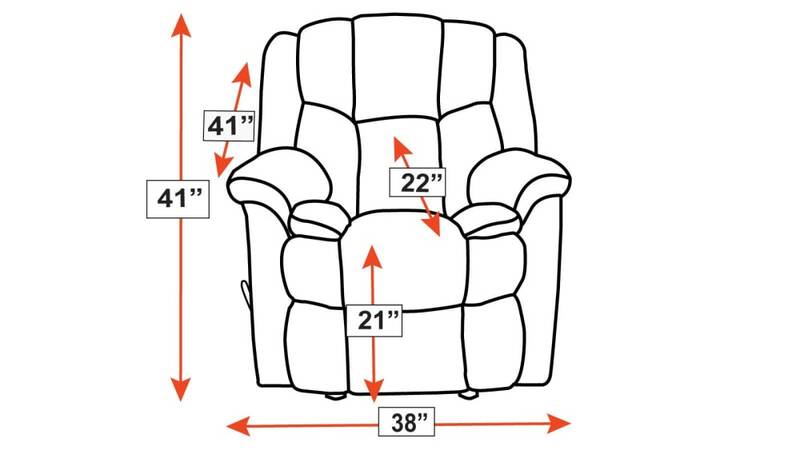 A quilted pattern is on the back, seat, arms, and footrest. A manual handle, located on the right side, will have you kicking back in no time.